Meal replacement diets give convenience and can take a lot of the guess work out of counting calories, carbohydrates and fat. 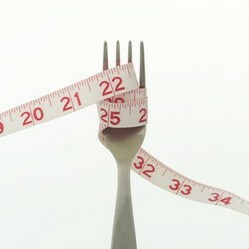 One of the main factors in losing weight is calorie reduction. The fewer calories you take in, the more fat you burn eventually will result in weight loss. Trying to decide exactly what to eat day to day can be confusing. With so many food choices and diets on the market, it’s not surprising that the weight loss industry grosses billions of dollars each year. Some people have a hard time trying to decide what diet to “try.” Bread and potato loves run from low carb diets; low fat dieters crave juicy steaks. This more than likely is the reason why most people fail at dieting or have a hard time “sticking” to their diets because food choices can become overwhelming and who wants to constantly read “labels” all of the time. This is why meal replacement diets can be a more “successful” alternative. Meal replacement diets eliminate the need to count calories, fat or carbohydrates. Usually these meals come pre-packaged or easy to make like the popular Visalus shakes. Thousands of people are taking Visalus' 90- Day challenge to lose weight by replacing at least 2 meals per day with their "taste like cake mix" shakes. You simply use non-fat milk a blender or a shaker like the one on the right for those on the go. Replacing meals with shakes can be very easy, you have to become creative with mixing in fruits and other things so you won't get bored. Visalus offers Health mix-ins to try and keep the "wow" factor in the flavor. I remember way back when Slim Fast only came in the "powdered" form. It was really expensive when it first hit the market well over $10 per can. Now the shake comes ready to drink in a can. I still like the powdered version better because you can add ingredients and when you use the right blender it an become a thick frozen treat. Optima Help Control Hunger With Fat Free Milk. If you’re not into shakes or rather have a solid meal but you still want the ease on not being a label-slave then pre-packaged meals are also an option. Companies like Jenny Craig and Nutri-systems have created a variety of meals and desserts for people who are looking to drastically reduce their calories. Celebrity endorsements and excessive T.V. time have made these types of meal plans extremely popular as well. Make sure to check with your doctor before starting any diet or exercise program. If you are using shakes or supplements make sure your doctor approves of the ingredient listings. Use the replacements for meal times that you are less active or have the most trouble. If you usually grab a fast food breakfast sandwich in the mornings, use a meal replacement instead. Use calorie confusion to keep from experiencing a plateau or getting bored with your food options. Instead of replacing two meals a day 7 days a week; replace two meals maybe 5 days a week and only replace one meal weekends. If you use shakes as meal replacements (like Visalus) make sure you choose a good variety of fruits to add into your shakes. You can even add dry oatmeal to make them more filling. The one meal that isn’t replaced still needs to be well-balanced and healthy. Instead of having fried chicken for dinner try baked. Steam your veggies and use Mrs. Dash and I Can’t believe it’s not butter to help add flavor. Eat good starches like whole grains and brown rice stay away from processed foods as much as possible. Meal replacements overall take a lot of the guess work out of dieting and as long as you can stick to your program you should see results. There are a few pro's and con's of course; just like with any diet. Meal replacements realistically may not be something you can do long term; and depending on what program you choose it can be expensive especially if you still have to purchase other foods for the remaining members of your household. If you have a "weight loss" buddy it can make it easier to stick with it. Losing weight is never easy if it were everyone would be their "ideal" weight. It takes dedication and patience. You have to know that even when it seems like you can't; you really can! Have faith in yourself, you can do it!